For this job the hard points had to come out. I sanded and ground all the glass and flox/micro off and heated up with the heat gun to pry off and out the hard points. Holes were welded in because I had tapped for course thread and wonted everything for fine thread. 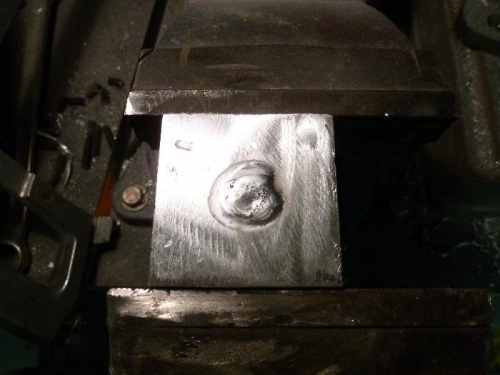 Holes were drilled and tapped using the drill press so that they are square to the surface. I placed the back seat and installed the front seat to determine where the hard points were to go. 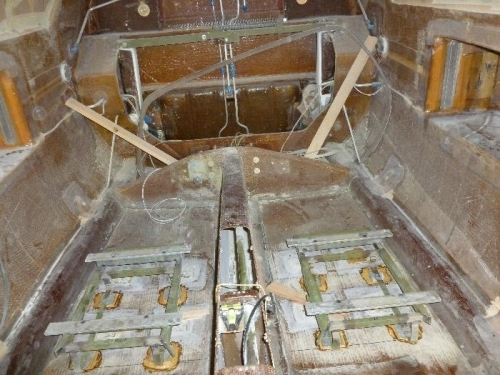 Fuselage was prepped for the hard points and the bolted up assembly was lowered into the flox/micro mix and then leveled and squared using cedar door wedges. This will cure and be glassed in tomorrow. Back seat rails hard points in.